Important Question. One of the most important questions in the early stage of a federal criminal case is the question of bond. At the initial appearance, a federal magistrate judge decides whether or not an individual accused of a federal crime will be released pending the judicial proceedings or whether that defendant will remain in the custody of the U.S. Marshals Service. Timeline of Events. Each federal case starts with an investigation. If the investigation leads to suspects and target persons, law enforcement agencies, such as FBI or DEA agents, may get an arrest warrant signed by a federal judge. Once that warrant is executed and the person arrested, the defendant will be held in custody and will be presented to a Pretrial Services Officer. That officer will gather initial information about the detainee, such as his personal and financial background. Thereafter, federal law requires a decision by a judge, typically a U.S. magistrate judge, as to whether or not the defendant needs to stay in custody or can be released pending his case. At that event, called the initial appearance, the court will also decide whether or not to appoint an attorney. Difference to State Court. 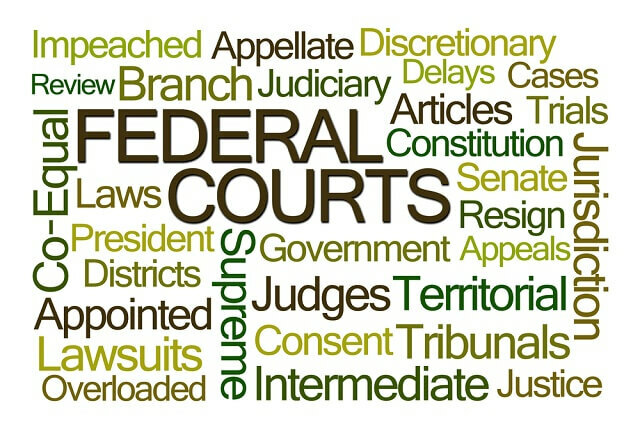 Federal and state court proceedings are fundamentally different in a number of ways. One such difference is the question of bail. Bail bondsmen are rare in federal court. Instead of setting monetary incentives to guarantee a person’s return to future court hearings, federal courts impose pretrial conditions that shall ensure compliance with court orders. These conditions typically involve an order not to violate any state or federal law pending the case, passing drug tests, and reporting to U.S. probation officers. Federal Law Only. The attorneys of Oberheiden, P.C. have years of trial and government experience that includes a distinct career with the Department of Justice. That history as former federal prosecutors allows us to anticipate the government’s arguments and to analyze a case through the eyes of the prosecutor while putting together an efficient defense strategy. Nature of the Offense. First and foremost, the magistrate judge in charge will look at the offense accused of. Offenses against children, offenses that involve violence, offenses that involve the possession or use of a firearm or similar destructive device or dangerous weapon, crimes with a maximum term of imprisonment of ten years or more, or offenses for which the maximum sentence is life imprisonment or death, and serious violations of the Controlled Substances Act or the Controlled Substances Import or Export Act are more likely to result in pre-trial detention. By contrast, misdemeanors and non-violent crimes (e.g. fraud, non-violent drug charges) may well result in pre-trial release. The Individual’s Criminal Past. The magistrate judge will have a detailed record of an individual’s criminal background, including all state and federal crimes accused of, convicted of, or pled guilty to in the past. Obviously, the longer that list is and the more similar items the list contains, the higher the chance that the judge will consider custody appropriate. Likelihood of Future Offenses Pending the Continuation of the Case. Another concern the magistrate judge will examine before releasing or detaining an individual at the initial appearance hearing is the level of risk that this individual presents to either flee the country or to obstruct justice by, for example, threatening, injuring, intimidating, manipulating or tampering with witnesses, jurors, or evidence.